In June this year, Vision Profiles achieved the transition from ISO 9001:2008 to ISO 9001:2015. Small details like changing the Quality Manual to the Business Improvement Plan and using the ‘opportunities for improvement’, highlighted in the regular BSI audits, highlight the focus the company has on the improvement culture that ISO helps to structure and embed into an organisation. One our most significant investments recently, is the introduction of 3D import software for CNC machining. The simplest explanation is, with this software, we can automatically detect and programme profile machining. The “3D import” module provides users with ‘a miracle at the press of a button’. The result of this software is a quantum leap in profile processing. Behind the 3D import there is a 3D converter that automatically detects processes in 3D modules, and programs them in seconds. The brilliance of this software? Gone are the days of time-consuming, error-prone data entry by hand for programming processes like drill holes, circular pockets, grooves, slots, rectangular features, notches, saw cuts and free-forms. 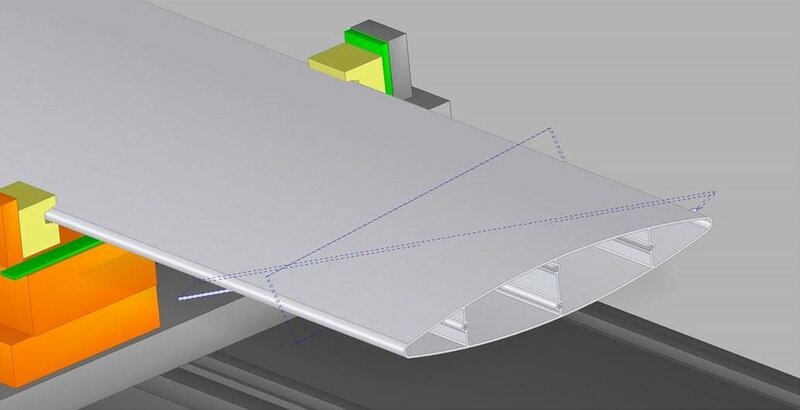 The 3D detector calculates the dimensions used in the 3D model, another feature that’s key to saving time. 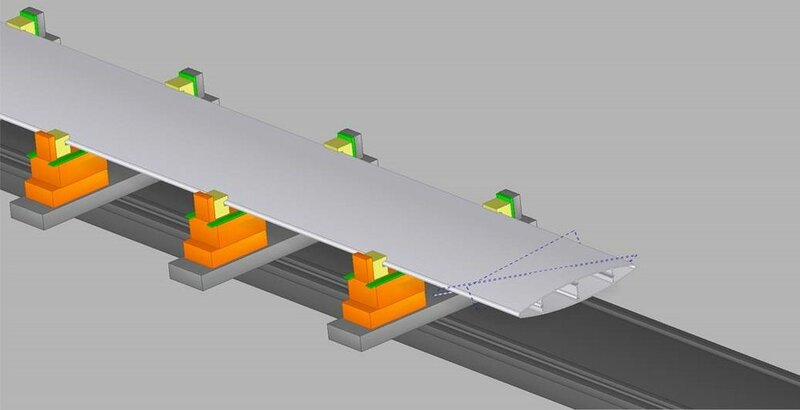 The use of the 3D converter provides a series of advantages; in terms of speed, the 3D detector offers a vast move forward in comparison with manual programming - 100 machining steps can be programmed in 5 seconds. Working with the 3D detector is not as error-prone as manual programming, and the automatic input of machining steps is far more precise. As one of the leading UK stockholders of quality aluminium extruded profiles we are pleased to announce that the business has become a member of “Made in the Midlands”. Made in the Midlands is a manufacturing and engineering peer-to-peer membership association aiming to unite Midland industries to source, supply, share best practice and collaborate within the region. Lauren Grady, Marketing and Communications Manager at Vision Profiles said, “We are looking forward to attending the many events that Made in the Midland offers. Made in the Midlands has nearly 400 members from all market sectors: automotive, aerospace, marine/defence, medical and other industry supply chains to name but a few. Lauren continues, “Made in the Midlands will allow us to raise our profile within the Midlands business community, connect with other members and create new business opportunities. More importantly it will offer a means for us to build lasting relationships. At Vision Profiles, building relationships with our customers is core to how we do business. That is how we differ from a large organisation, we are more personal and approachable. We believe the best business partner needs to understand your company and market as well as you. This requires a long-term view of business relationships, an ability to learn and apply knowledge across industries and a passion for creating the best products available. We are delighted to announce that Paul McKim has been appointed as Area Sales Manager and will be joining our rapidly expanding external sales team, reporting to Hugh Hastie our National Sales Manager. Paul has over 14 years sales experience, predominantly in the plumbing and heating trades, initially on an internal basis as a branch manager and subsequently as an external sales manager covering the whole of Scotland. His role at Vision Profiles will cover account management – offering advice and support to our existing customer base, as well as developing new business in an area which covers Scotland and the North of England from Manchester upwards. At the same time Paul will be building on his knowledge of the aluminium extrusion process and market sector. As a leading stockholder of aluminium extrusions Vision Profiles can meet all your requirements, from design to finished product, from the simple to the complex. We have published a comprehensive guide to the services that Vision Profiles offers professionals involved in the development/purchasing of new and existing products using aluminium extrusion. We offer a complete supply of everything you may need: design, manufacture of extrusions, aluminium fabrication, application of coatings and finishings through to assembly and kitting. These are just some of the services provided by Vision Profiles to enable our customers to reach new audiences and become even more competitive in their marketplace. With us you deal with one supplier, Vision Profiles, giving you a seamless service whatever your requirements. We work with our customers from the earliest stages of a project to understand their specific requirements. We seek to solve our customer’s manufacturing challenges and deliver innovative solutions that make life easier for them. Aluminium extrusion is a process that provides huge freedom of design which gives virtually unlimited opportunities for adapting product shapes. Costs are cut by using clever design which requires fewer components, reducing the finishing process and simplifying assembly. We can offer a wide range of fabrication and finishing services to turn your component into a finished product. Vision Profiles has invested in the most modern equipment and latest control systems. Our aluminium fabricating plant carries out complex and high added-value work. We offer a wide variety of aluminium anodising and polyester powder coating finishes, all to the highest quality from our aluminium extrusion supplier Aluminios Cortizo. Many clients are looking to have items delivered as a finished product, so as part of our one-stop-shop philosophy, we provide your products assembled, kitted, packed and labelled, ready for use or to sell on. As one of the UK’s leading aluminium stockholders of aluminium extruded profiles, with over 50 years’ industry experience, the team at Vision Profiles is dedicated to giving the best possible service to all our clients. We are delighted to announce that Simon Rowe has been appointed as a Business Development Consultant for Vision Profiles and will be joining our External Sales Team. Simon has a wealth of experience within the aluminium extrusion industry, having worked in most manufacturing processes within Vision Profiles. Simon will be responsible for developing new business and will be using his extensive knowledge of both Vision Profiles and the extrusion sector to provide advice and support to help our customers meet their profile challenges. Vision Profiles has taken a lead in the UK aluminium extrusion industry by adopting a “can do” approach to ensure we meet our customers more demanding requirements.